Bob Millat – or “Chief” as many at the shop new him – slipped the surly bonds of earth on October 7, 2017. Bob was born the youngest of 12 kids to two German immigrants – Anna and Gustav – who met on the boat emigrating from Germany at the start of the 20th century. Although the family grew up mostly poor, you knew by the way he spoke of his family that they were rich in love. We’re sure it was a combination of working on the farm and being the youngest of 12 that helped him build a tremendous work ethic and desire for independence. He had a great love for his country, in the truest sense of the word, serving overseas during the Korean War. A curious spirit, he had a never-ending appetite for understanding. 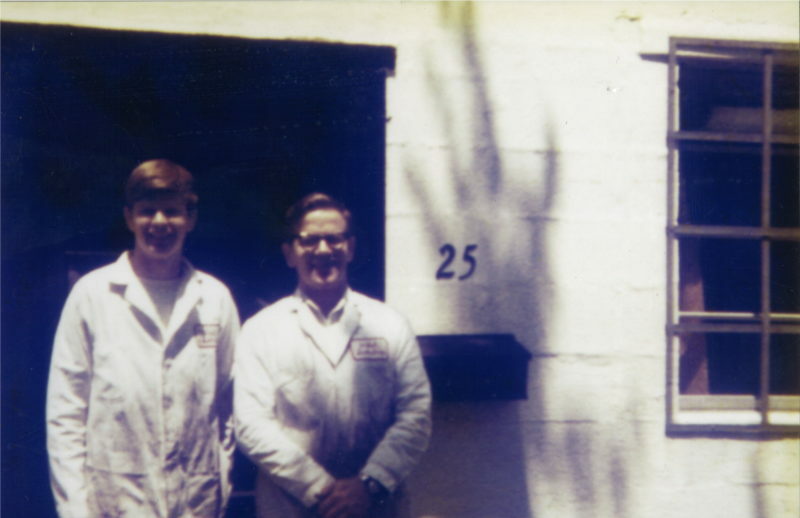 Founding Millat Industries in 1966, Bob cared deeply about everyone at the company his entire life. At the shop, Chief had a bias for careful thought, which he would follow up with thoughtful action and leadership. Although his professional success of 50+ years in business has been well demonstrated, it was his personal relationships for which he cared most. 67 years of marriage, countless hours of giving and listening to all around him, he will be surely missed. He lived by the motto, “Everybody is somebody”. We have so much gratitude for such a great leader and friend.